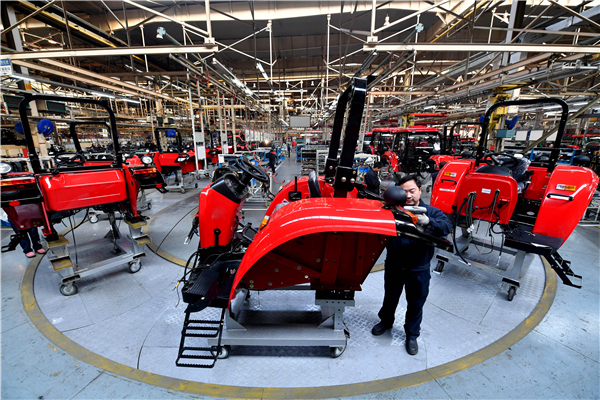 China will further strengthen informatization and innovative power of small and medium-sized enterprises (SMEs), said the Ministry of Industry and Information Technology (MIIT) on May 5. Information and internet technology should be fully utilized to break the bottleneck in development of SMEs, said MIIT general engineer Zhang Feng at a news conference. Large telecommunication providers are encouraged to deploy their resources to develop an on-demand service platform for SMEs, said Ma Xianghui, head of the bureau of SMEs under the MIIT. Ma also urged SMEs to better apply new technology, including mobile internet, cloud computing, big data and smart manufacturing, in transforming their traditional production mode and widening financing channels. Governments at various levels should deepen cooperation with telecommunication providers in directing information services to meet the needs of firms more effectively, said Ma. A total of 18 large telecommunication firms have optimized their information service systems for SMEs since 2016, and 907 information service agencies have been built nationwide, said Ma.